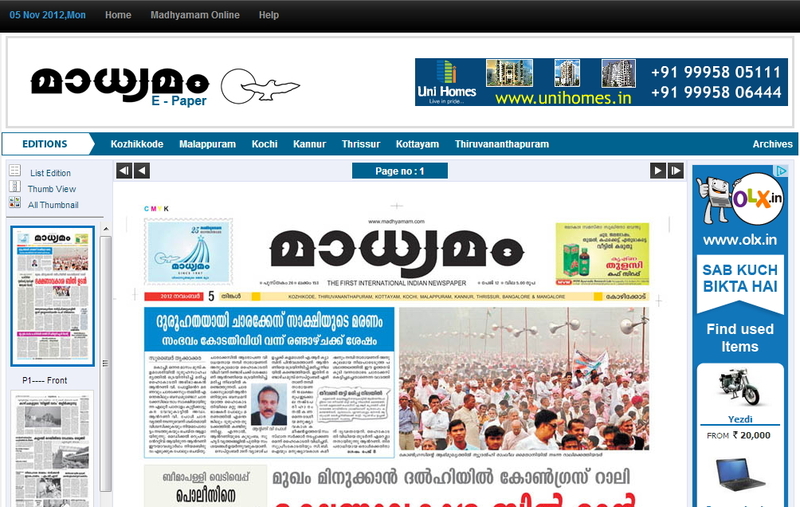 Madhyamam is one of the Leading News Paper in Malayalam. It is India's First News Paper which started an International Edition. It is published in 7 Countries. Madhyamam had Started a Separate Section Called Little Journalist where Children can Post their Articles, Pictures and videos.